Asking for help with your addiction problems may feel embarrassing. You may also feel resistant to this idea because you just do not like strangers getting involved in your personal business. It is tempting to just dismiss the need for options like rehab, fellowship meetings, or therapy and instead just do things your own way. The problem with this way of thinking is: have you not been doing things your own way up until this point anyway? How is that working out for you? If you are still struggling with addiction, it suggests you need to try a different approach. If all that was required to overcome addiction was to stop drinking or drug using, most people could probably do this without too much help, although they might still need medical observation during the withdrawal stage. The problem is that ending the physical addiction is just start of the process. You have probably had times in the past when you were able to stop drinking or using drugs – in fact, you do it every night when you go to bed. The goal of options like rehab is far more than just getting you physically sober. It is all about helping you develop the tools needed so that you can create a life where you no longer feel the need to turn to substance abuse for solace. The fact that you turned to alcohol or drugs in the first place suggests that you were not coping with life particularly well, which is likely what you will be going back to when you stop the substance abuse. 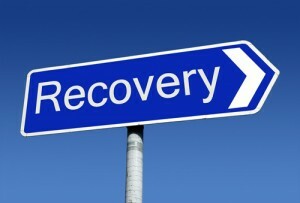 The goal of rehab is not to get you back to square one, but to help you develop much better life. When you first give up alcohol or drugs, you are likely to be highly motivated. The problem is that it is hard to keep this level of commitment unless you are regularly doing things to boost it. One of the benefits of choosing something like rehab is that there will be some type of structured aftercare programme to follow. This means that you will have commitments to keep you on the right path and there will be resources available if your motivation begins to wane. The reason your motivation is likely to decline over time is due to the fallibility of memory and the tendency to take changes for granted over time. When you first quit, the memory of addiction is likely to be strong, which should be enough to keep your motivation high. The problem is that as your memory of the pain of addiction begins to fade, your motivation also starts to go into decline. This is why it is so important to have people around you to boost your resolve to remain sober. The majority of individuals who try to give up by themselves end up relapsing; most attempts end within the first few days due to the discomfort of withdrawals. By entering a rehab programme, you significantly increase the likelihood of achieving long-term sobriety. This is because you are going to be supported during the toughest stages; there can also be treatments to make withdrawal symptoms easier to deal with. Loneliness is a common relapse trigger. In order to give yourself a good chance of achieving recovery, you need to keep away from your drinking and drug using friends and surround yourself with those who value sobriety. The problem is that you may not be able to find such people unless you start going to recovery meetings or group therapy. One of the benefits of doing these things is that you can begin to build up a sober network that can then replace your drug using friends. This can be much harder to do if you are going it alone. When joining the recovery community, you get to hear about the experiences of people who are further ahead of you in recovery. This means that you can learn from those things that worked for them and find out about the common traps you risk falling into. Going it alone usually means having to ‘learn by touching fire’, and there is a huge risk that you will fall victim of one of the traps that you could have easily avoided if you had benefited from the experience of others. One of the most common traps that many fall into is called addiction substitution. This is where you give up one maladaptive behaviour but replace it with a new one. Most people are determined not to fall into this trap, but it is easy to do if you are not being supported and getting feedback from others in recovery. The types of traps people end up falling into include internet addiction, work addiction, exercise addiction, relationship addiction, and comfort eating. Be warned – you can fall deep into one of these addictions before you even suspect that something is wrong. Even if you do manage to stay sober while going it alone, it could still mean that you are missing out. The goal of rehab is to provide you with some of the best personal development training on the planet so you can use these tools to help you get the most out of life. Without these tools, you may continue to struggle with things even though you are not drinking or using drugs. You deserve to get the best out of your recovery, but you need the resources to help you achieve your potential. There is no telling how many more chances you are going to have at recovering from addiction – the sad truth is that this could be your last one. By going it alone, you might not be giving yourself the best chance, which is a shame. It is always better to have more recovery resources than to have too little support and end up losing your chance for long-term sobriety.